Miners play a crucial role in the Blockchain ecosystem by maintaining and securing the Blockchain. What do they actually do all day? Most of the work is done by machines set up by miners that solve complex cryptographic problems in order to validate transactions. This work done by the miners earns them a reward in terms of ETH (Ethereum) and some transactions fees. The best thing about Blockchain is that there is no one stopping you from being a part of the network if you are ready to make the necessary investments. Reading these exciting concepts may also prompt you to be a part of this race. To get started with Ethereum Mining, you need to have some hardware which will be solving cryptographic problems at all times. The hardware essentially provides you with hashing rate as the machine needs to calculate millions of hashes in seconds to get to validate a block. Gone are the days when you could get away with CPU mining. CPU, while best to carry out computer transactions, doesn’t provide competitive hashing rate which reduces your chances of getting the mining reward. Ethereum, unlike Bitcoin, has an ASIC resistant algorithm which supports mining with GPUs (Graphics Processing Unit), which is almost 200 times more efficient than CPUs when it comes to mining. You would need multiple GPUs to collectively form a mining rig, which should be done with due diligence. Apart from buying the hardware itself, you would also have to pay for its electricity consumption, which makes it important for you to check it thoroughly before buying. The trick to ensuring profitability is to calculate your profit before-hand. Through online calculators, you can find the profit you’ll earn with a given hashrate and then determine whether it covers the electricity costs in your area. If it doesn’t, you might want to go to Iceland. Once your mining hardware is ready, the next step is to get your Ethereum Mining software. Hold on before you jump to download them! There is a lot of spam and malicious content out there. Downloading untrusted software from shady sources is the quickest way to lose all your coins. The first step is to set up a full node to mine Ether. This means that you would have to install a client and the whole Ethereum blockchain which is close to 90 GB. After setting up the client, connect your node with the Ethereum network. This can be done by installing geth which uses the scripting language called “Go”. If you are familiar with this language, then sip your coffee and connect your node! But if not, then use tutorials like this. While you can use a private network to ‘test’ mining, but you may not be interested since it doesn’t make you any money. If you are a smart contract developer, then it is extremely valuable to have this network to test your smart contracts and fix bugs. To earn real ‘money’, the next thing you need to do is to install Ethminer. If you’re using Mac, you can install Minergate since Ethminer is only available for Windows and Linux. Ethminer is the catalyst that gets your GPUs going. Once you are done with this, you can play a role in securing and maintaining the Ethereum Network. The current reward for validating a block is three ETH. Once you successfully mine ETH, they will be transferred to the wallet that you have linked to your mining software. It is very unlikely that with your own mining rig, you can make huge profits as there are groups of people out there who combine their computational power to get rewards. These groups are called mining pools. The wise thing to do for new miners is to join a mining pool to get higher profits. These pools distribute the rewards among the members on the basis of computational power contributed by them. Joining a pool entails only a signup process and nothing more. The three largest pools out there are Ethpool, Ethminer, and DwarfPool. Do not join the first pool you see. Take your time to see their fee structure, payouts, computational powers of other members etc. The payouts determine the frequency of your payment whereas the fee structure determines what fees will be charged by the mining pool. So these are the steps you can take to mine Ethereum. Before investing into the process, one last thing that you should remember is that Ethereum is shifting towards a proof-of-stake consensus algorithm which removes the need of miners. Stay ahead of the industry trends and adapt accordingly. Difference between Public Blockchain and Permissioned . 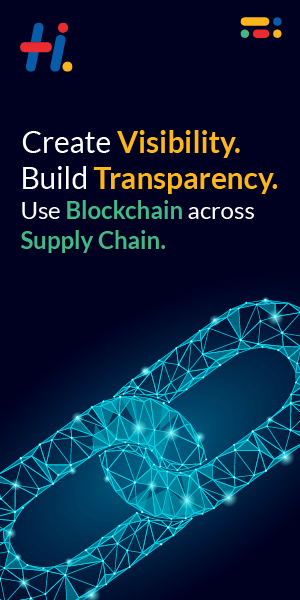 . .
How can Blockchain Benefit your Business? How to sell your Bitcoin? What can you buy from Bitcoin?